At first glance, steel town Pittsburgh, PA, and tech hub Fremont, CA, don't appear to have much in common. One boasts a respected manufacturing legacy, and the other is nestled among the tech giants of Silicon Valley. 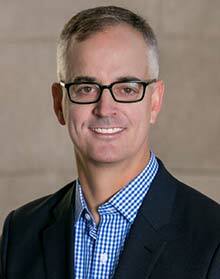 But if you look deeper, you'll find that both cities are emphasizing investment in education for future generations. And both cities are havens for the maker movement — a growing community that utilizes new technology, tools and materials to create new things. As the City of Fremont's FUSE Corps Executive Fellow, I've been on a journey to build a robust future talent pool for advanced manufacturing via maker education programs. After an extensive listening tour in Fremont, I decided to expand the City's horizon and be a student again by embarking on a field trip to learn from the best. So recently I organized a delegation of members from Fremont Unified School District, Mission Valley ROP, Alameda County Library, and the City of Fremont to make a 2,248-mile trek to Pittsburgh — the destination city for maker education advocates — to see what lessons could be applied back in Silicon Valley. Our three-day tour of Pittsburgh's maker network swept through three school districts, the Pittsburgh Children's Museum, the Carnegie Library, two makerspaces, educator training facility TransformED and the Manchester Craftsmen's Guild. 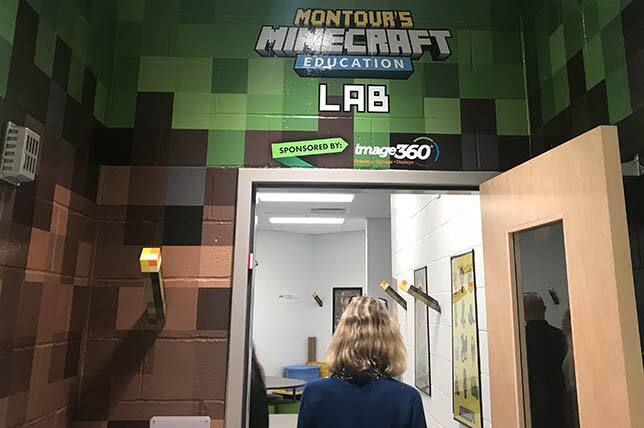 Montour Elementary, in the greater Pittsburgh area, has a Minecraft lab and a variety of dedicated maker and STEAM-related spaces. More on Montour's makerspaces can be found here. Although each organization had its own niche to fill, it was clear that they have formed the maker network on one shared purpose: to create powerful learning opportunities that affect children long after they leave the program. "The entire idea for Remake Learning started with a common problem observed by traditional educators, librarians, museum educators and others working with youth in the Pittsburgh area," said Gregg Behr, the executive director of the Grable Foundation. "It was getting harder to capture kids' attention and connect with them in a way that helped them learn." The once tried-and-true methods of education weren't working. The way children pursued knowledge was changing, the path to developing individual identities and interests was different, and, ultimately, how they sought support had transformed. Faced with these challenges, Remake Learning member organizations joined forces for a broader mission: to provide deeper, practical learning experiences that empower students and reaffirm their ability to shape the world, especially as they prepare for life after formal education. To Fremont, a city that is just starting its own maker initiative, the Pittsburgh maker network may seem expansive and overwhelming. But Rome wasn't built in a day. Each stop on our tour originated with a "little bet" — a low-cost and low-resource experiment to see if the idea would hold up and how it could be shaped to best benefit the area's children. For example, the South Fayette District uses an after-school incubator where teachers try out "little bets" before moving them into the classroom. The Pittsburgh Children's Museum's makerspace started in a small garage, a very different arrangement than the 5,000-square-foot space that houses it today. The take-home point for our team — and other maker cities — was that you don't need to have thousands of dollars of fancy equipment or state-of-the art lab facilities with a huge staff; it's much more important to find people who are passionate about showing students new ways to learn. Success breeds success. As these experiments prove their own worth and are shared with more students, new resources and opportunities will come. 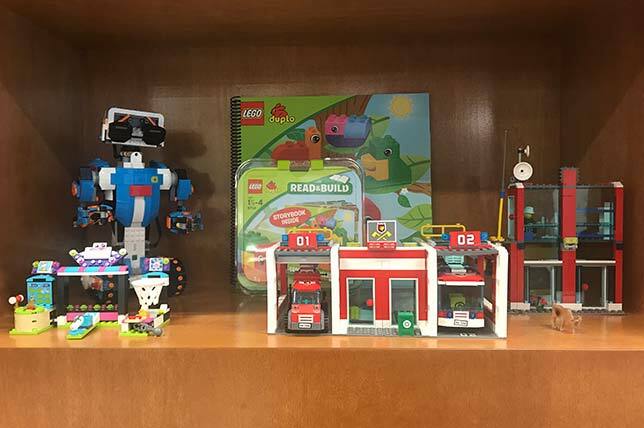 Montour Elementary's LEGO-themed makerspace offers building projects, 3D printing, mixed reality activities and a LEGO video studio. More on Montour's makerspaces can be found here. Fremont already has a high-performing school district with determined teachers driving pockets of innovation and testing their own "little bets." There are countless businesses, parents, community members, city departments and county departments in Fremont who would love to support schools, and our mission is to show them how. As we march forward in creating Fremont's own maker education ecosystem, we now have the ammunition we need to create more of our own "little bets" and the motivation to learn from them in ways that scale and help Fremont's kids develop a rich curiosity and innovative mindset.